Welcome to the Allergy London’s first blog where we look forward to share our knowledge, thoughts and ideas about allergies. Over the past the past 40 years we have seen a dramatic rise in allergic diseases such as asthma, eczema and hayfever, particularly in the western world. Along with this ‘allergy epidemic’ has come an increase in food allergies and here we focus on food allergies specifically in children and babies. Most serious food allergies start in infancy and early childhood. They are caused by a relatively small number of different foods. Milk and egg are the most common food allergies and tend to disappear by themselves during childhood. Other common food ‘allergens’ vary depending on where you live. While peanut and tree-nut allergies are common in the US, UK and Australia, fish and seafood allergies are more common in South-East Asia and Southern Europe. Other common problem foods include wheat, soy, sesame and kiwi. 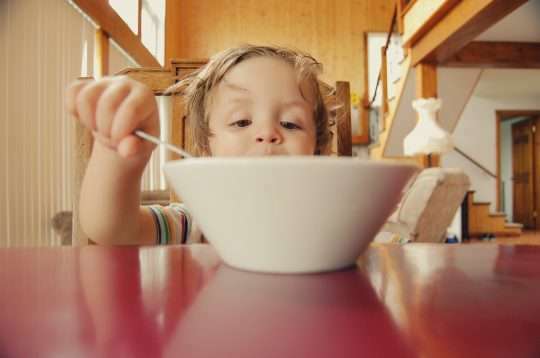 Food allergies in babies and children Almost one in 12 young children suffer from food allergies, which seem to be getting more and more common. Food allergies are far more common among children in families where other members suffer from an allergy. Babies who suffer from eczema are particularly at risk of food allergies. The more severe the eczema, and the earlier in life it began, the more likely there is to be a food allergy. A baby younger than three months suffering with severe eczema is very likely to suffer from food allergies. Some food allergies are quite easy to spot – as soon as the food is eaten (often for the first or second time) an itchy rash develops, usually around the mouth. There may also be swelling of the face, runny nose and itchiness, as well as vomiting. With severe reactions, there may be difficulty breathing and, if this occurs, you should call an ambulance immediately. Fortunately, these kind of severe reactions are very rare in young children and tend to be more of a problem among teenagers. Sometimes, food allergies can be more subtle and difficult to detect, especially if they are delayed allergies. These tend to be more of a problem in infancy. In the past, these food allergies were sometimes called food intolerance, but this isn’t the correct term because an intolerance doesn’t involve the immune system. Delayed allergic reactions do involve the immune system, but – unlike the histamine-release characteristic of an immediate reaction – delayed allergies involve parts of the immune system that take much longer to respond. The end result means it’s difficult to pinpoint a particular food as the problem and sufferers may continue to eat or drink the food allergen. Delayed allergies in infants may cause chronic symptoms such as eczema, reflux, colic, poor growth, diarrhoea or even constipation. The symptoms only get better when the food is removed from the diet, with milk, soy, egg and wheat being the most common culprits. 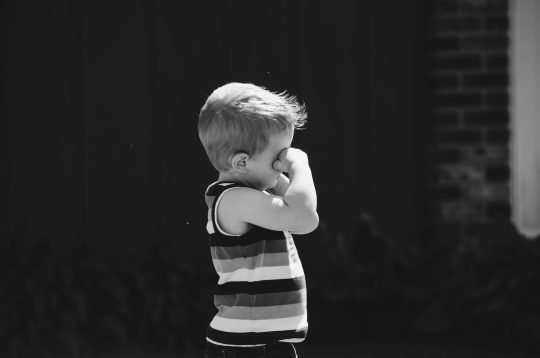 However, all of these symptoms commonly occur during childhood and an allergic reaction is only one possible explanation – and not the only one. Trying to work out whether the problem is a food allergy can be very difficult and requires the help of an experienced doctor. If you suspect a food allergy because your child has had an immediate reaction, it is best to avoid the food until you have seen a doctor. If you suspect something in your child’s diet is causing more delayed symptoms – such as eczema or reflux – it can be helpful to keep a food diary to see if the relationship between having the food in the diet (or in your diet if you are breastfeeding) and the symptoms are consistent. If they are, the diary will be helpful to the doctor to whom you take your child. Diagnosing food allergies relies on keeping a careful medical history, examination and special allergy tests. Your doctor will ask you about the symptoms of the reaction, whether they have happened every time the food has been eaten and how long they took to appear. With immediate allergies, testing can be done by a blood test or by a ‘skin-prick’ test, when food extracts are placed on the skin of the arm. Either test can be very helpful in confirming if the allergy is present. Unfortunately, things are less easy with delayed allergies because there are not any reliable and straightforward tests. However, careful exclusion diets – with the suspected food completely taken out of the diet – may be recommended with the assistance of an experienced dietician. If the food is the cause of the symptoms, these should improve when the food is withdrawn. This exclusion period should be followed by reintroduction of the food to ensure any improvement was due to its removal. If the symptoms are relieved on exclusion, but return on reintroduction, a diagnosis can be reached. If you have a specific topic you’d like us to cover in a blog, please email us at info@allergylondon.com.